U.S. 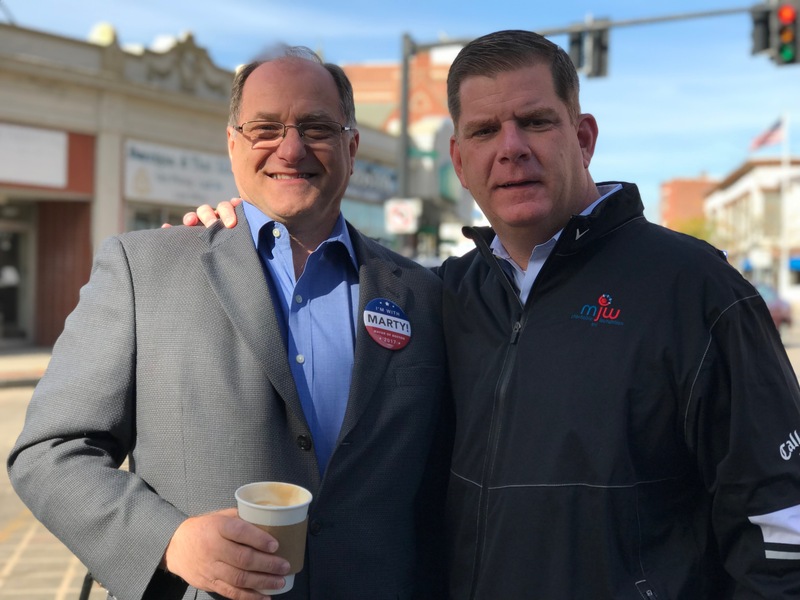 Congressman Michael Capuano endorsed Mayor Marty Walsh in his bid for re-election today, citing his dedication to building a strong economy that works for all Bostonians and his efforts to ensure pay equity and opportunities for residents in every neighborhood. Mayor Walsh has prioritized building a fair economy since his first day in office, investing $11 million in job training for thousands of low-income Bostonians and supporting every neighborhood through his Neighborhood Business Access Loan, which targets low-income entrepreneurs, people of color, veterans, and immigrants. The mayor has remained focused on growing workers’ wages, creating centers to develop residents’ job searching skills that served over 15,000 Bostonians last year, and ardently supporting a statewide $15 minimum wage.